1-CD with 44-page booklet, 16 tracks. Playing time approx. 74 minutes. 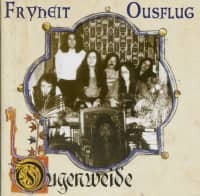 At the end of the seventies Ougenweide had become an institution: They had created their own genre with the Minne Rock, presented an excellent live album with'Ungezwungen' in 1978 and drew a kind of stylistic summary with'Ousflug' (1978). 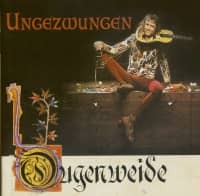 In the LP series'Liederbuch' Polydor finally dedicated a'Best Of' album to them, giving the group and their sound a firm place in the German music landscape. Actually a safe starting point to successfully continue and carefully develop the project. 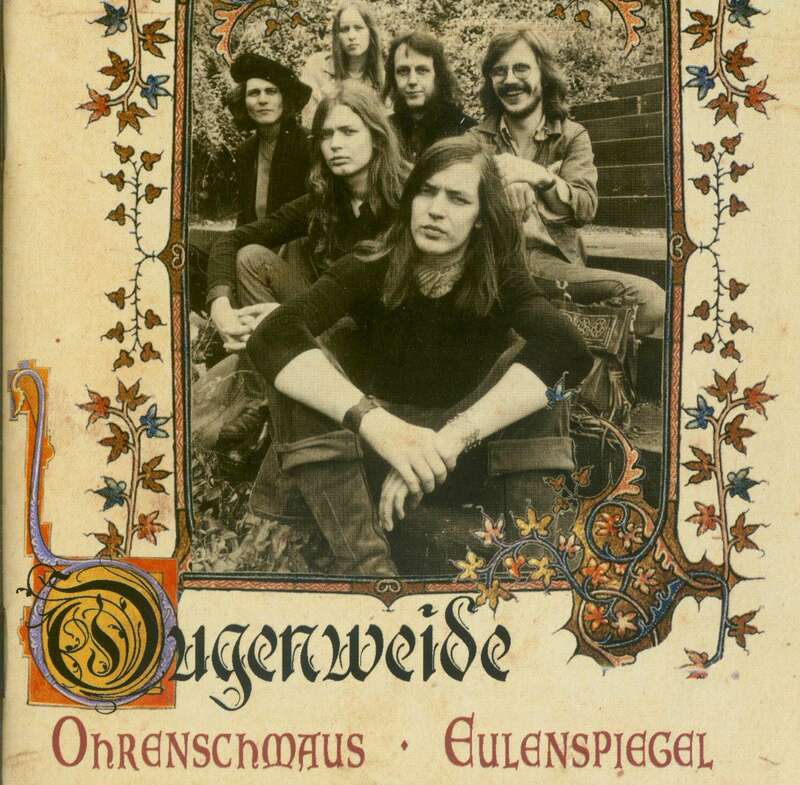 But obviously Ougenweide was too easy this predetermined way. Over the course of the decade, the group saw the opportunity and challenge to start something new. Sing Middle High German? Why in this modern time, in which there is so much to say! Old tunes? Why, if we can write exciting new music ourselves! So there were no medieval tones and sounds anymore, no fairy-tale-played LP covers, no lyrics written by Neidhart or Walther, and only rarely the strange sounding old instruments. On the cover picture was an oversized barcode - just new for marking goods everywhere. He is torn apart by a likeable-looking young woman. Yes, right, it is Minne Graw, and she is not wearing a waving folklore dress, but looks like the committed student from next door. The signal is clear: here we come to replace the world of goods with the real world. And that's not a nice, backward looking folk idyll. "Being a mythical creature is over, it's time for something to move," says one of the songs programmatically. That didn't change with the next LP. Listening to the first notes, you involuntarily ask yourself: "This is supposed to be Ougenweide? The opener Nie wieder is a great piece, produced crystal clear, bone dry and a little chilly, with a mysterious and associative text that produces images in the mind. Yes, that's exactly the sound you expect in the early 80s! But he might as well be from Spliff, the style of the band can't be felt here anymore. Even the voice amazes: No Olaf, no love! Frank Wulff is on the mic as a soloist. He's doing very well, but he's saying goodbye to the usual. That you are dealing with Germany's former folk-rock icon can be seen in the second piece, a dance instrumental entitled Muspilli (after an old High German poem about the end of the world). 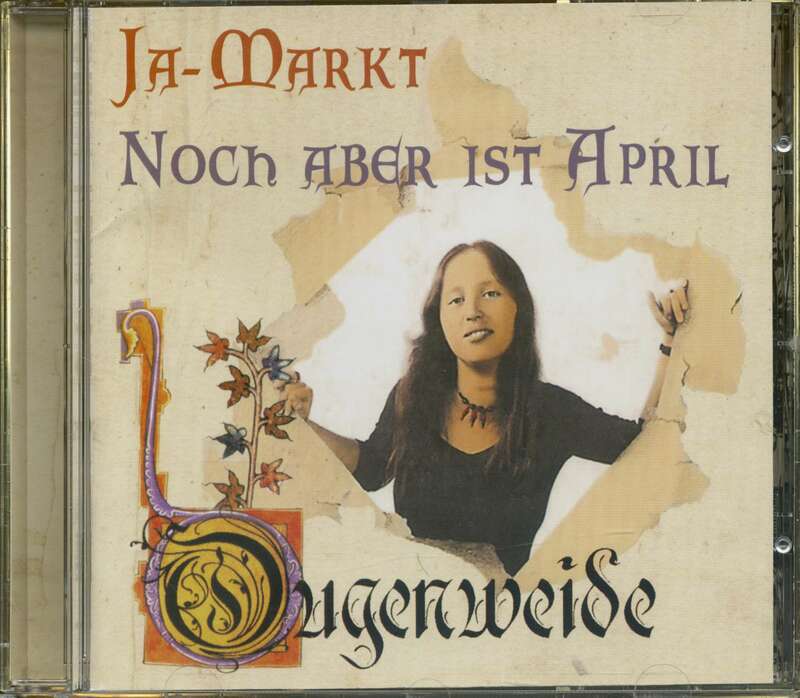 Only in the following title song you really recognize the band, especially by Minnes singing: Ougenweide set to music a text by the Marburg poet Anna Rheinsberg, a wonderful poem about a neglected child in Berlin. The cheeky brat with slipped knee-high sock and much (too much?) imagination also adorns the cover of the LP. In the background the typical buffers - man with a hat, woman with a handbag - who eye the little one badly. 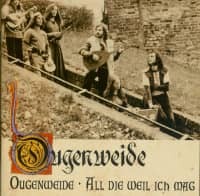 Ougenweide set the deeply sad poem to music with a simple melody in a discreet arrangement shaped by fingerpicking guitars that radiates a slightly melancholic cheerfulness. 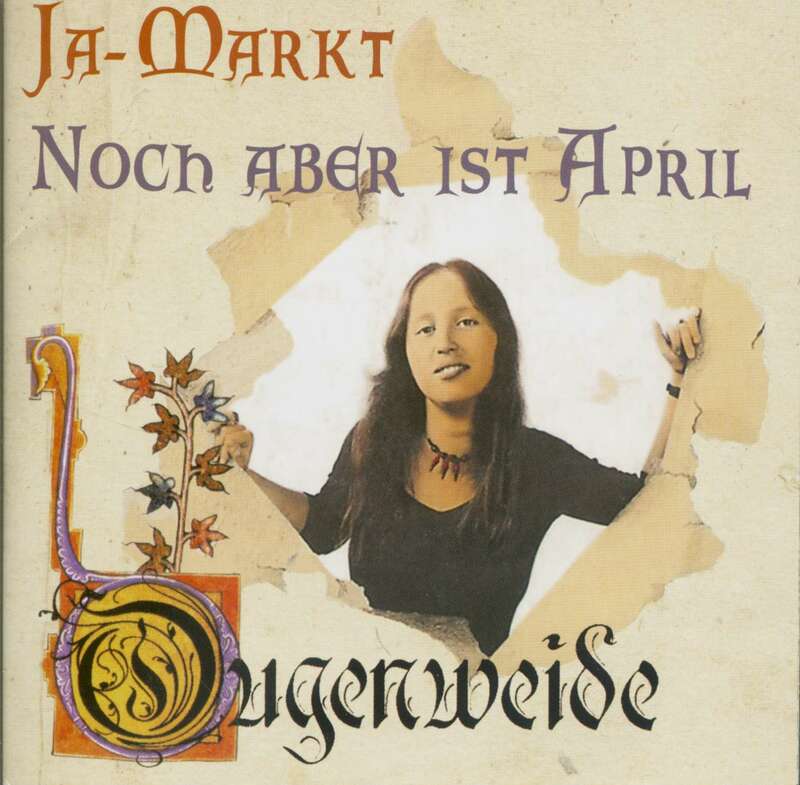 In general, the melancholy: In contrast to the almost nervous mood of departure of the'Ja-Markt', the thoughtful sounds predominate on the'April' album. This is also evident in the language: instead of "defend yourself," it says, still resistant, but still more poetic: "We must be a beam between our legs for this madness". 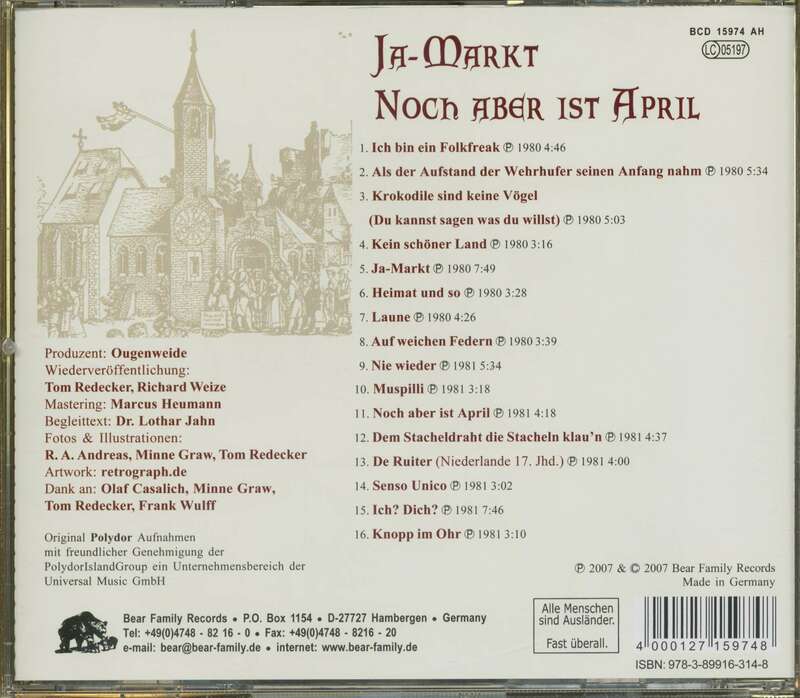 Customer evaluation for "Ja-Markt - Noch aber ist April"